Discover your ideal mattress with our range of luxury king size mattresses from Swift Mattresses, designed for increased comfort and a dreamy night’s sleep. Made from high-quality hypoallergenic materials, this range of king size mattresses will provide continued comfort and support. A high-density foam filling and a resilient core create a gel-like feel that is proven to help posture and leave you feeling revitalised. Specially designed, these mattresses react to every movement during the night, helping to spread your weight evenly across the bed with no loss of movement, meaning pressure on all areas of your body is relieved for ultimate comfort. 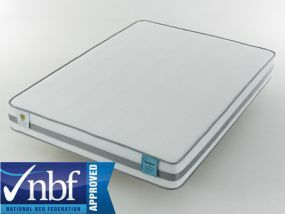 Unique air vents encourage air circulation for a cool, refreshing night’s sleep, and a luxury cover helps with dust mite resistance. 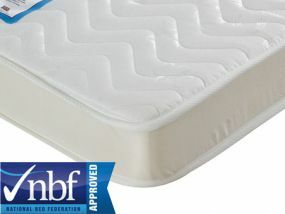 Upholstered with luxurious and natural materials, these Swift Mattresses king size mattresses look and feel exquisite. Made in the UK, they provide excellent value for money.